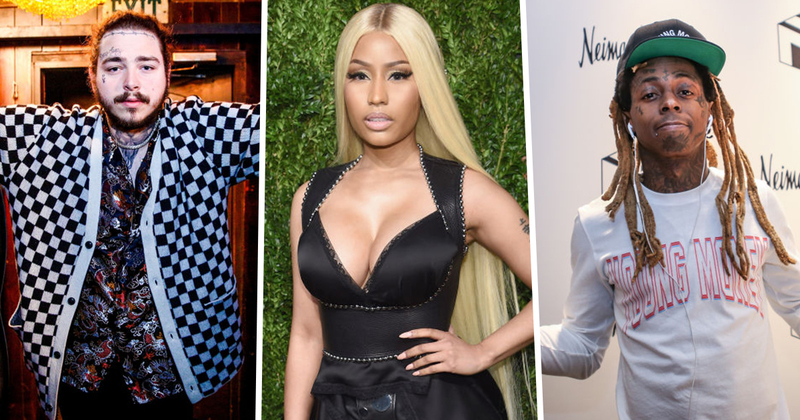 Post Malone, Nicki Minaj, and Lil Wayne are going to appear on the soundtrack for the new Spider-Man film. The animated film, Spider-Man: Into The Spider-Verse, will be released on December 14 and will see Nicolas Cage play one of the many versions of Spider-Man. The full soundtrack also includes music from Ty Dolla Sign, Juice WRLD, and Jaden Smith. The animation promises to introduce us to a whole new world of Spider-Man characters, including Spider-Gwen. Shameik Moore will appear as Miles Morales, a black-Latino teenager who realises he has the same powers as Spider-Man. As for the music behind the animation, Post Malone and Swae Lee’s Sunflower, Jaden Smith’s Way Up, Nicki Minaj and Anuel AA’s Familia, and Lil Wayne and Ty Dolla Sign’s Scared of the Dark will be some of the main tracks featuring. Other songs include: Blackway and Black Caviar’s What’s Up Danger, Aminé’s Invincible, Juice WRLD’s Hide, Thutmose’s Memories, Duckwrth and Shaboozey’s Start a Riot, Ski Mask and Jacquee’s Save the Day, and DJ Khalil’s Elevate. It’s a star-studded cast and soundtrack that will introduce Spider-Man among many others across a wider Spider-mulitverse. We look forward to the new creative take on the comic book icon and its refreshingly modern soundtrack.